Showcasing the best in Irish scientific research – Series 4 coming soon! 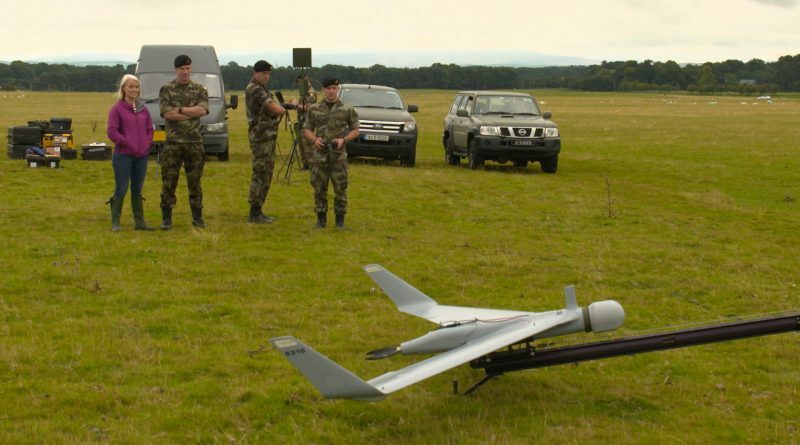 Kathriona meet Captain Eoin Murphy of the Irish Defence Forces to find out how they’re using drones to target artillery and for intelligence and reconnaissance purposes. Developed and sold by the Israelis, the covert technology is designed to provide close-range monitoring of a target, providing a valuable ‘over the hill’ surveillance asset for troops on peacekeeping missions. With members of the Defence Forces serving in locations such as South Lebanon, Chad or Liberia, the drones will improve protection and reduce the level of threat to Irish peacekeepers on the ground. 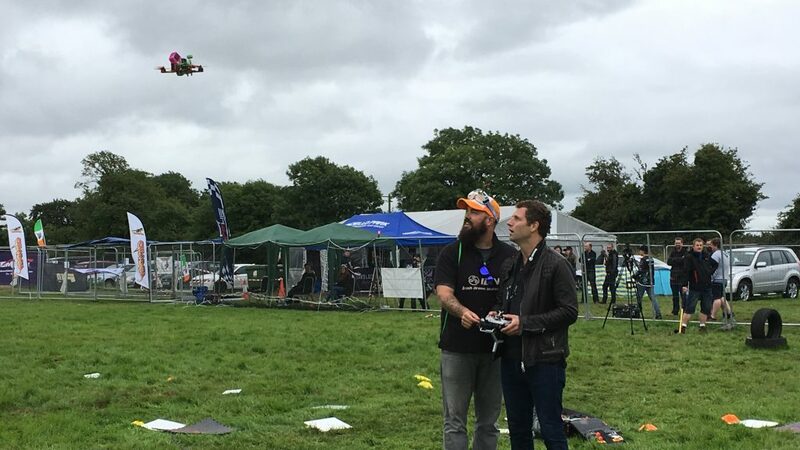 Amazon, food companies, and even Uber are planning to use drone technology to transport goods or people in the near future, but with more and more remote controlled drones in the sky, we’ll be putting intense pressure on the bandwidth and frequency infrastructure needed to maintain video picture quality, and even more importantly, safely control of them. Jonathan meets the Irish Research Council PhD Scholar Evan O’Keefe who is developing solutions to enable drone technology to change, upgrade, or repair itself to get the best possible transmission which helps both the drone, as it can be controlled far more reliably and not crash, and the user who can get higher quality data and video feedback. Modern stealth warfare has helped developed them, but increasingly we’re using drone technology to save lives. In the hills of Donegal, Aoibhinn joins in on a training session with the Donegal Mountain Rescue team who are using the latest high tech drones and software which has been developed by Irish researchers DroneSAR to significantly reduce the time it takes to locate casualties. The Irish Coastguard is also starting to use this technology so we plan to meet them and some of the people who have been rescued with the help of these robotic eyes in the sky! Check it out on RTE One, 8.30pm, Monday 18th December! Based in Dublin and founded in 1990, we produce high quality factual and entertainment programming, feature films and dramas for national and international broadcasters. Visit our website to find out more about our work. Copyright © 2019 10 THINGS TO KNOW ABOUT…. All rights reserved.